There are a lot of options when it comes to buying an under the cabinet toaster oven which makes it really hard to choose the BEST under cabinet toaster oven. Some toaster ovens have a touch-button control panel and/or a LCD display. 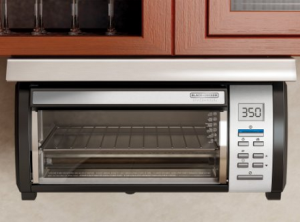 Some have bake, toast and keep warm functions, … Continue reading Under Cabinet Toaster Oven – Which Is Best?